This is a heat-conducting white paste that improves the heat transfer between the chip and the heat sink, overall reducing the internal temperature of your computer, prolonging the life of your equipment and contributing to greater stability. The paste must be applied in a very thin layer and only at the points of direct contact with the cooler. 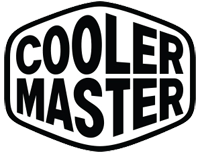 For shipping to other EU countries visit this page Cooler Master HTK-002-U1-GP white. Für Versand nach Deutschland, besuchen Sie bitte Cooler Master HTK-002-U1-GP, weiß. Chcete doručit zboží do Česka? Prohlédněte si Cooler Master HTK-002-U1-GP. Chcete doručiť tovar na Slovensko? Prezrite si Cooler Master HTK-002-U1-GP. Für Versand nach Österreich, besuchen Sie bitte Cooler Master HTK-002-U1-GP, weiß. Magyarországra történő kiszállításért tekintse meg ezt a termékoldalt: Cooler Master HTK-002-U1-GP.